Wow! This is a HOT deal that you can grab right now! You can grab this Deep Pocket Bed Sheet Set for only $13.90 right now! That is a HUGE savings of 88% because this set is normally $119.90! This set comes with 1 flat sheet, 1 fitted sheet, and 2 pillowcases. Make sure that you grab this deal soon because the prices can change on Amazon at anytime! 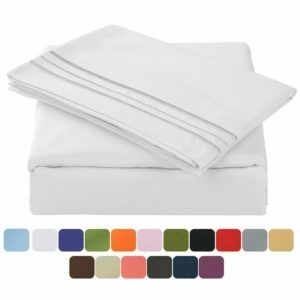 CLICK HERE TO ORDER the Deep Pocket Bed Sheet Set for only $13.90 today!